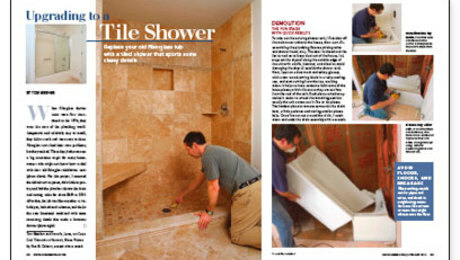 Learn from a pro tilesetter how to remove an old bathtub and replace it with a custom tile shower. 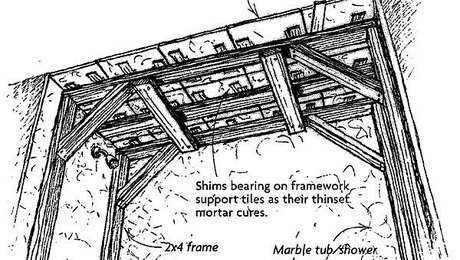 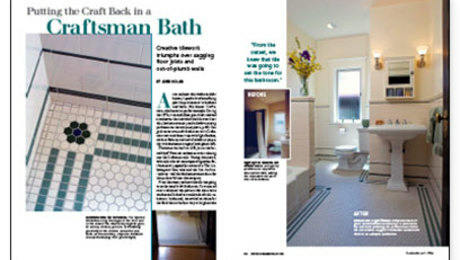 Tilework triumphs over sagging floors and out-of-plumb walls. 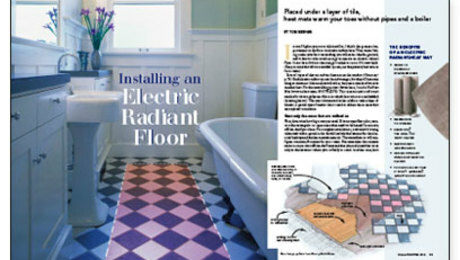 Under tile, heat mats warm your toes without pipes and a boiler. 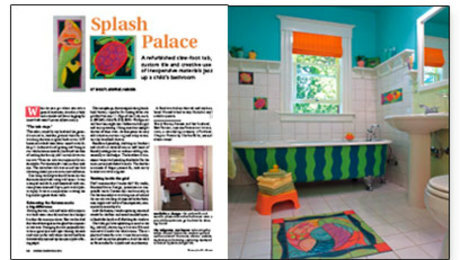 A refurbished claw-foot tub, custom tile and creative use of inexpensive materials jazz up a child's bathroom. 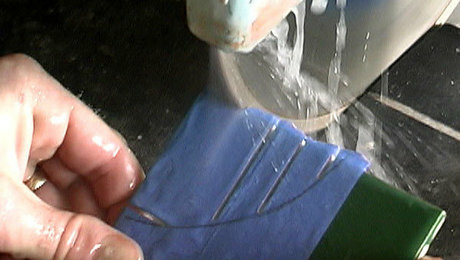 Although wet saws cut only straight lines, they still can be used to cut a radius. 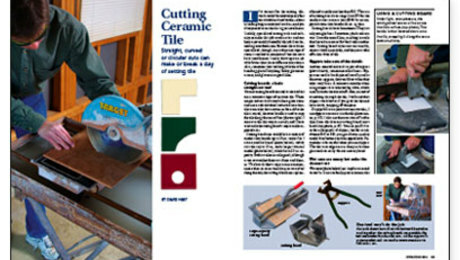 Straight, curved, or circular cuts can make or break a day of setting tile.